At Ideal, our product plays a part in one of the most important activities we as humans do – sleep. We find it fascinating to see what affects our sleep time from day to day, especially in our modern times. So what does it means to be a modern sleeper? Ask anyone around how their sleep was last night and they’ll likely answer with incoherent gibberish and mumbles about coffee. Needless to say, we’re all collectively spent. Being tired, all the time. It’s a common thread between all modern sleepers. 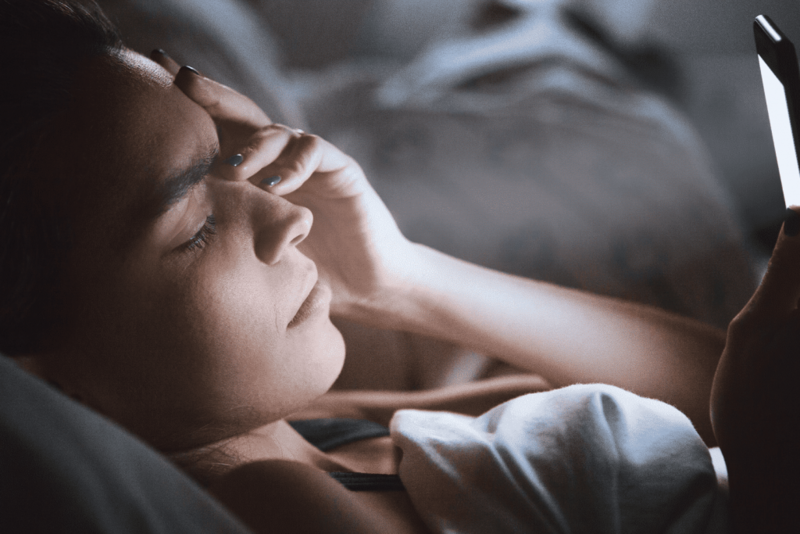 So why the uptick of sleeplessness? Our busy day-to-day lives should give way to tucking in and falling asleep quickly at night. But there’s a culprit in our day-to-day lives that’s stealing our ability to have a good night sleep – our smartphones. A study completed by Dr. Gregory Marcus, an associate professor of medicine at the University of California, found an increase in screen time and a decrease in a good night’s sleep is no coincidence. “When we looked at smartphone use around the time when participants reported they went to bed, more smartphone use around that time, in particular, was associated with a longer time to fall asleep and worse sleep quality during the night,” he said. Digging into the data, researchers found that individuals with a longer average screen time were more likely to have poorer sleep quality and less overall sleep. Poor quality sleep was more likely for participants who used their smartphones closer to bedtime. 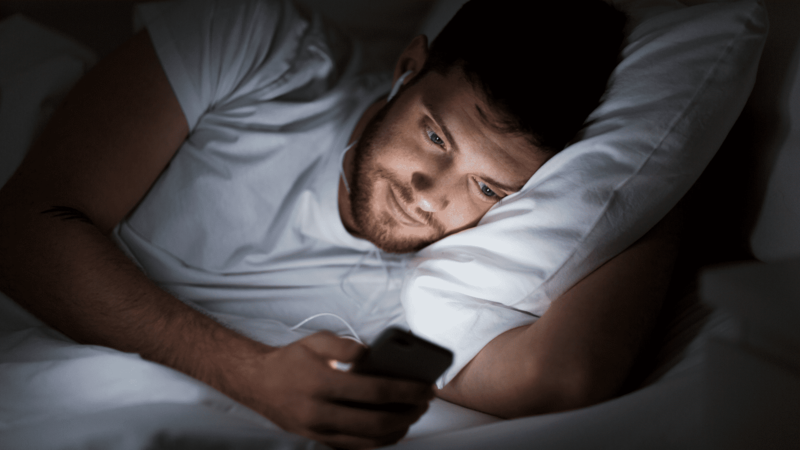 What is it precisely about smartphone use that affects sleep? Blue light. Evidence has been mounting that connects the blue light emanating from our screens to suppressing our body’s production of melatonin. This hormone is essential in helping us fall asleep and plays a part in our circadian sleep-wake cycles. Other factors affect sleep as well. Alcohol use, smoking habits, physical activity and other health decisions are all woven into a rich tapestry of terrible decisions that affect our rest. We could try drinking less and exercising more, but it seems like an easier third option would be to just put the phone down a few hours before bedtime. It turns out smartphone use and sleep deprivation make strange bedfellows. At Ideal, our product plays a part in one of the most important activities we as humans do, sleep. We find it fascinating to see what affects our sleep time from day to day, especially in our modern times. So what does it means to be a modern sleeper? Ask anyone around you how their sleep was last night and they’ll likely answer with incoherent gibberish and mumbles about coffee. Needless to say, we’re all collectively spent. 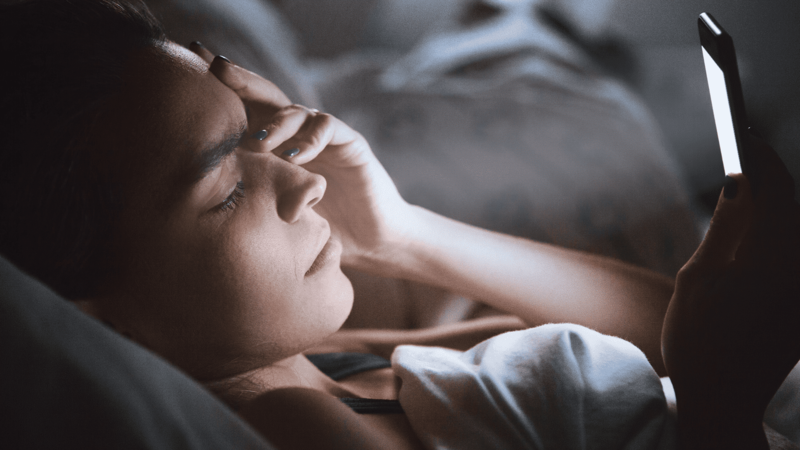 So why the uptick of sleeplessness? Our busy day to day lives should give way to tucking in and falling asleep quickly at night. But there’s a culprit in our day to day lives that’s stealing our ability to have a good night sleep, our smartphones. A study completed by Dr. Gregory Marcus, an associate professor of medicine at the University of California, found an increase in screen time and a decrease in a good nights sleep is no coincidence. “When we looked at smartphone use around the time when participants reported they went to bed, more smartphone use around that time, in particular, was associated with a longer time to fall asleep and worse sleep quality during the night,” he said. Digging into the data, researches found that individuals with a longer average screen time were more likely to have poorer sleep quality and less overall sleep. Poor quality sleep was more likely for participants who used their smartphones near closer to bedtime. What is it precisely about cell phone use that affects sleep? Blue light. Evidence has been mounting that connects the blue light emanating from our screens to suppressing our body’s production of melatonin. This hormone that is essential in helping us fall asleep and plays a part in our circadian sleep-wake cycles.